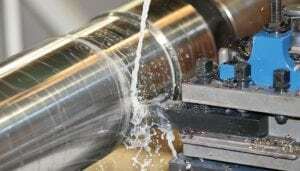 Machining and Turning Applications - Barnes International, Inc. Non Ferrous Machining and Turning Applications:Barnes International, long considered a leader in filtration of coolants in machining and turning applications is well qualified to solve the many coolant problems unique to these industries. With our rich background and extensive product line, no project is too large or too difficult for our engineers to handle. From low cost, easily installed rotary drum filters to our central systems, Barnes has the right system to meet your needs. Click on the links below to review our complete product line. You can also call us or email for more information or recommendations.